If you are looking for in home dog training in Omaha, you have come to the right place. If you are looking for puppy classes, click here and if you have dog behavior problems, click here. We exclusively use Positive Reinforcement (+R) and Force Free (FF) dog training methods to teach and motivate your dog to want to do the trick or command. We do not use alpha rolls, pinch or prong collars, shock collars, choke chains or any other pain causing device, nor does any competent dog trainer. This is one of the reasons why we were named the Best Dog Trainer in Omaha. Unfortunately in Omaha, many dog trainers still use the old force-based training methods that often result in lower self esteem or confidence issues. Force and punishment based training (Often referred to as “Balanced” trainers) often lead to unwanted behavior problems like submissive urination, fear, stress, anxiety, insecurity and aggression. We feel that dogs deserve better. Besides, the job title is dog TRAINER, not dog punisher. Our lead dog trainer James is a former Air Force veteran who gave up a career in a different industry to follow his passion of helping dogs better understand the humans they live with, lol. James’ personal approach, patience and dedication to his craft has allowed him to connect with dogs of all ages, breeds, energy or confidence levels. 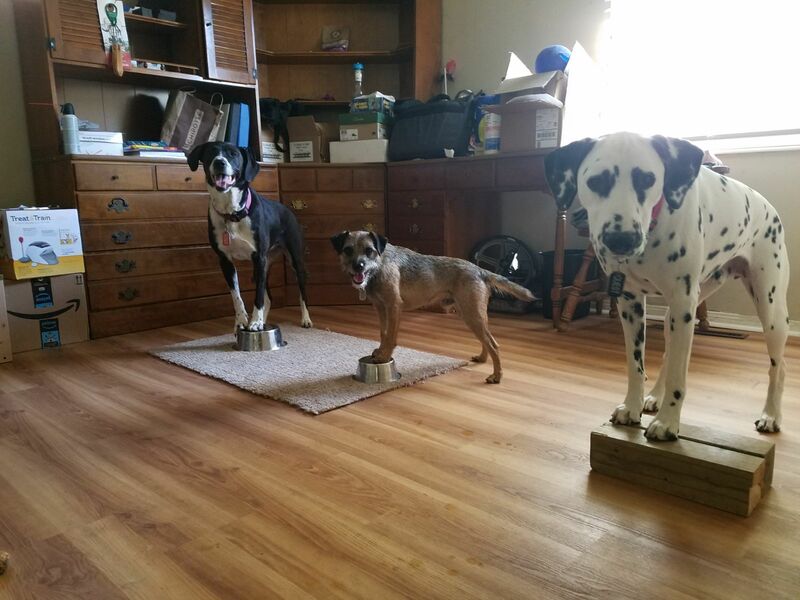 He can do something as simple as teach a single dog to fetch or more challenging tasks like training trio of high energy dogs to stay-stand on objects while they wait for the next command. James will come to your home, sit down with your family to discuss your training goals and learn more about your dog or dogs. Once he knows what you want to accomplish, he will train your dog(s) for you, or walk you through training it yourself if you prefer to be more hands-on. Our most popular Omaha dog training requests are loose leash walking or teaching a dog to heel, but we can train your dog to do just about anything; come when called, fetch, catch, stay, roll over, play dead, leave it, take it, bring it, sit, lay down, sit up, stand, hand targeting, rotate, spin, speak, shake, hi five, wave, beg, crawl, dance, kiss, sit pretty, hug, wipe their paws, put toys away, use an iFetch, jump, go to dog bed, run, stop, back up, count and many more. For some dogs we use clicker training to make it easy for the dog to understand the precise moment it did what we wanted. This is particularly helpful for quick-twitch dogs or those who have difficulty understanding what it is you want from them. You can find testimonials from many of the thousands of people we have helped with their dogs on this page. There is a reason why we have hundreds of five star reviews; we love what we do and are pretty Dog Gone good at it. 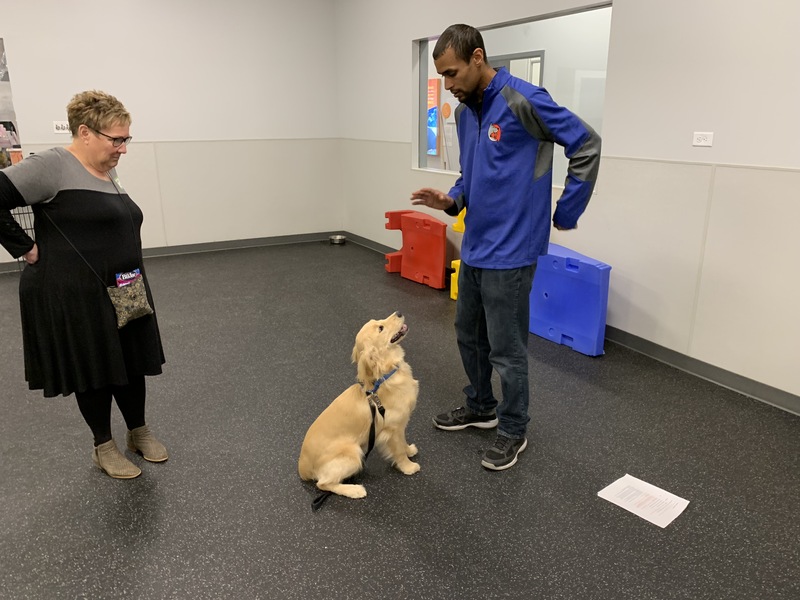 If you are interested in setting up an at home dog training session or have questions about our positive dog training services, please fill out the form below. One of the members of our team will give you a call to discuss how we can help you and your dog.